Darren Wilson resignation? 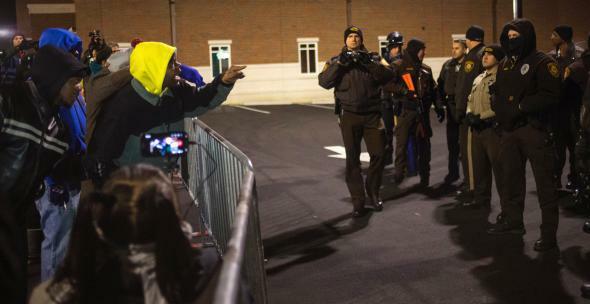 Ferguson police officer may leave voluntarily, report says. Protesters outside the Ferguson police station Thursday night. *Correction, Nov. 21, 2014: This post originally misstated that five protesters were arrested in Ferguson on Thursday. Five were arrested Wednesday and at least two Thursday.